The Dalai Lama has been hospitalised in the Indian capital with a chest infection and is feeling better, his spokesperson said on Wednesday. The 83-year-old Tibetan spiritual leader is under medication and likely to spend a day or two in the hospital, spokesperson Tenzin Taklha said. 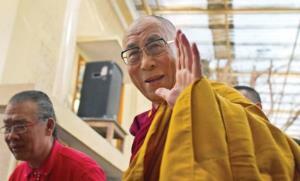 The Dalai Lama flew from Dharmsala for consultations with doctors in the capital and was hospitalised on Tuesday. The north Indian hill town has been his headquarters since he fled Tibet in 1959 following a failed uprising against Chinese rule. He usually spends several months a year travelling the world to teach Buddhism and highlight the Tibetans' struggle for greater freedom in China.